Full-service commercial real estate owner, developer and manager Eastman Companies has announced several lease signings at The Shoppes at the Livingston Circle located at 277 Eisenhower Parkway in Livingston. Over the past 12 months, strong leasing activity at the 93,000-square-foot shopping center has exemplified the shift towards non-traditional tenants seeking space at successful retail properties. 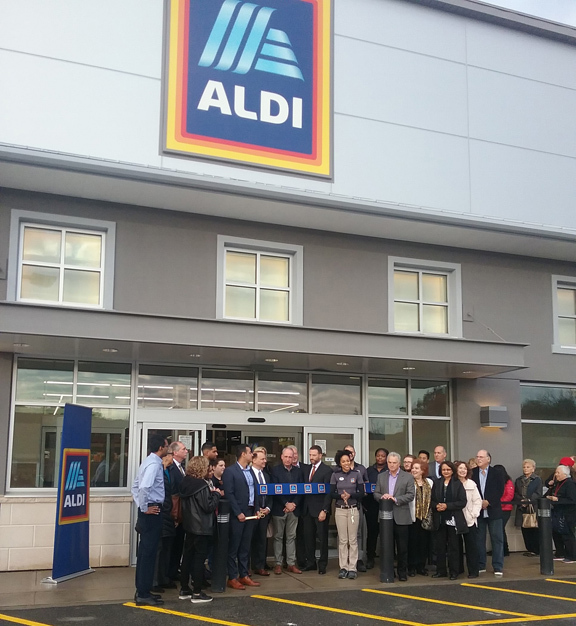 ALDI, the fast-growing supermarket chain, held the Grand Opening of its newest store at The Shoppes in November. The center’s new anchor brings Livingston residents a faster and easier grocery shopping experience. Recent additions to The Shoppes’ roster also include Fitness 1440, the 24-hour gym and fitness franchise; the popular full-service hair salon chain Moxie Salon & Beauty Bar; and Cookie Cutters Haircuts for Kids. All three businesses expect to open later this fall. Florian Suserman of Ripco Real Estate represented ALDI and Moxie Salon & Beauty Bar, as well as the landlord in each of the recent transactions. Dean Tselepis of Newmark Knight Frank represented Fitness 1440, and Cookie Cutters was represented by Daniel Zappala of Ripco. Eastman Companies has strategically shifted the tenant mix at The Shoppes to include more dining, fitness and service-based businesses. The addition of Goldfish Swim School, CycleBar and Club Pilates to the center’s co-tenancy emphasizes the growing demand to offer consumers convenient options for achieving their health and wellness goals. The popular Westwood, N.J.-based restaurant Mezza Mediterranean has built a loyal local following in Livingston since opening its second location at The Shoppes this past June. Situated at the intersection of Route 10 and Eisenhower Parkway in one of the region’s busiest retail corridors, The Shoppes at the Livingston Circle’s diverse tenant lineup also includes Hand & Stone Massage and Facial Spa, Ike’s Bagel Café, Olive Garden, Wine Legend and Zen Japanese Restaurant. The center serves a growing residential population of more than 158,000 people within a five-mile radius. Recognized leaders in high-quality real estate developments, Eastman Companies and its affiliated companies are celebrating 40 years of owning, managing and developing properties throughout Northern New Jersey. Headquartered in Livingston, N.J., the full-service firm’s portfolio totals more than two million square feet of office, retail and industrial space in Essex, Morris, Bergen and Burlington counties. For additional leasing opportunities at The Shoppes at the Livingston Circle, contact exclusive agents Florian Suserman and Curtis Nassau of Ripco Real Estate of New Jersey.